A bizarre story of a couple from Clearwater, Florida, who police say lied about their child being in the back of a stolen car later took another unusual twist. 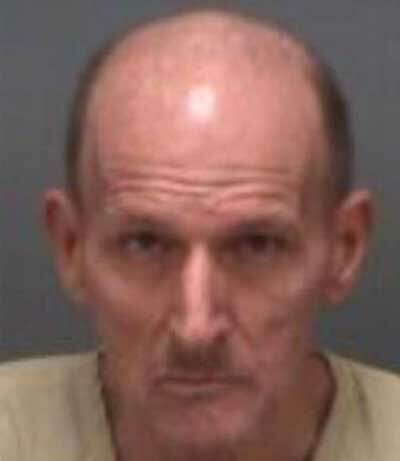 Police say a Clearwater man joined in the chase for the stolen car on Wednesday, driving his own vehicle at speeds up to 85 miles-per-hour as he swerved in and out of lanes and pacing police vehicles involved in the chase. He was arrested on a charge of reckless driving with property damage or injury. Long is retired, according to the arrest affidavit. Police were chasing a vehicle that was reported stolen by Angelica Luz Marrero on Wednesday afternoon. Marrero told police that her 3-year-old son was inside the car, which prompted police to ask for the public’s help finding the missing child, and also prompted a search for the vehicle. Police say Marrero later admitted to lying about her son being in the car. The stolen car that didn't contain a child story. He was at a Pinellas Park daycare. Marrero said that she tricked police, so they would find her car faster. Police say Marrero’s car had also been stolen a few weeks ago and it took officers a while to respond. Angelica Luz Marrero was charged with false report of a crime, misuse of 911 and posession of marijuana. The boy’s father, Nestor Gerardo Badillo was charged with false report of a crime and misuse of 911. Stevie Gamble Jr. was charged with grand theft of a vehicle, driving without a licence, fleeing or eluding at high speed and reckless driving.